Showing results for tags 'cav:so'. Is Jamming an ECM signal an active process that must be maintained like current Electronic Warfare counter Measures or is it more like an EMP that just turns off ECM? In practice: If my Talon activates ECM to block Target-Locks, then my opponent successfully Jams my ECM with his warden, is my ECM gone until next turn or would it be back if I immediately destroy the warden that jammed my ECM on my next activation during that turn? Understanding the Active Phased Array and ECM SAs. I'm working on some background articles and thought I would put up my first draft here to hopefully answer a few questions and get some feedback if something needs a better description or other questions you may have! Using APA and ECM A common question I receive from players is how APA and ECM work in an actual game setting. So, I thought I take a moment to write up a more in-depth description of the process behind both SAs. Active Phase Array APA is a 3D radar system designed to track multiple targets at short range using a series of non-moving sensor arrays mounted in various locations across the equipped model, each emitting a “beam” at multiple “angles” and frequencies. The on-board targeting systems of other friendly models, through the BattleNet, can use this information to help cut through enemy electronic counter-measures, increasing the chances of a successful “hit.” How is this different from advanced targeting computers? Every combat model in CAV: Strike Ops is built with a rudimentary targeting computer, loaded with a basic software package that helps a pilot or gunner to analyze the surrounding environment and the desired target (weak points or existing damage for example), as well as helping to manage any on-board weapon systems and the actual firing of them. Advance Targeting Computers take this process one step further with the addition of a Class One AI. The other major difference it the addition of a successful target-lock. While the data flow from an APA is available to any model set to receive the encoded stream, an ATC requires a specific target to analyze. Understanding Artificial Intelligence in CAV: Strike Ops By the 23rd century the use of AI by the various races of the known galaxy have been defined by one of four classes. As is typical, these concepts are provided from a Terran perspective to allow for a common framework for our readers to understand the principals involved. Class One AI: Reactive A Class One AI is the most basic of these types of systems and is designed to “react” to the current situation without any regards to stored “memories,” processing the data from the “moment” and providing an optimal mode of attack, in this example, from a multitude of possibilities. The more data it receives and processes (the rating level of an ATC is relative to this processing ability), helps to increase the chance of a successful outcome. Class Two AI: Limited Memory A Class Two AI allows it to “observe” the surrounding environment, storing the data to help improve any pre-programmed responses to deal with a specific situation. The drawback to this class of AI is it can’t “learn” or use a previous experience to help it when it is presented with a similar event later one. These types of AI are often found on spaceships, self-driving vehicles and autonomous farm machinery. Class Three AI: Empathy Class Three AIs can understand and form reactions based on how it perceives the thoughts and emotions of creatures and people or how an object can affect the environment around it. This allows the AI to modify its own programming to behave in such a way to meet the needs or expectations of a given situation. Class Four AI: Self-Aware This type of AI takes the previous representations to the next step, allowing it to form its own thoughts and self-empathy based on what it perceives and any needs it may have. It is aware of “self” and make predictions on how it thinks others will react to their own feelings or inferences. How does an APA work in game terms? While typically built “into” a given design (CAVs, vehicles or aircraft only), an APA is currently available on two configurations: Active Phase Array 1 and 2. Both systems perform the same function but differ in power and range. Examples include the Ritter’s Cheetah Nd Series IIa and the Adonese Dragonfly TB-3 Interdict APA systems. An external APA pod is available as an add-on to an existing model but is severely limited in its overall power and use as detailed below. A model with an APA system will require the use of a Special Action when using either of the following options. Only ONE option may be used during the current activation: OPTION ONE - Enhanced Targeting Acquisition: Its base function, the APA will generate additional targeting data for any friendly model that is targeting an enemy model located in the area of effect (APA Pod: 18”, APA 1: 24”, or APA 2: 36”) measured from the center of the model that is actively using the APA, moving with the model as it moves (if any). The use of this targeting data will add a (+1) or (+2) based on the APA’s rating level to an attacking model’s final combat roll. The maximum bonus for an APA Pod is (+1). If an enemy model should move out of the current AoE of the activated APA, the bonus provided is no longer available for an attacking model. Subsequently, an enemy model that moves into this AoE will allow for the addition of the bonus should it be subject to a later attack. The targeting bonus will remain in effect from it’s current activation until the beginning of that model’s next activation in the following turn. The model using this function of the APA can also benefit from the combat roll bonus should it also choose to attack an eligible enemy model. The use of multiple friendly APAs do NOT “stack” to the combat roll bonus, using the highest available rating level for the attack only. OPTION TWO – Jamming: A model with an APA system, during its current activation, may choose to try and “block” or jam the use of an enemy APA or ECM system by overwhelming their sensors with highly concentrated bursts of energy, creating electronic “noise” to disrupt their data streams. APA Pods cannot use this option and will automatically be “jammed” by an enemy attempt against it (no opposed roll needed). Example: A model (A) with APA 1 is activated and declares, as part of their activation, an attempt to jam an enemy model (B), also with APA 1. A jamming attempt uses an opposed roll to determine success, so both players will roll 2d6 and add the rating level of APA system to their respective roll. If model B wins the opposed roll, the attempt fails, and the action is lost. Should model A win the roll, model B will be unable to activate its own APA until after the end of its next activation. FAQ: Is the enemy model required to be in the AoE of the activating model’s APA system? What if it has both a APA and ECM system? No, jamming does not require targeting data so it less dependent on range and an enemy model equipped with a APA and ECM system will have BOTH systems jammed. Are there any other modifiers applicable to the opposed roll? Yes, Ace and Veteran pilots/crews and a WSO will add their bonus to the final roll. What if the enemy model has already activated this turn? And what happens if the enemy model is currently using their APA or ECM system? If the enemy model has already activated this turn, it will be unable to use either system until after the end of their next activation in the following turn. If either system is currently active, any effect it is currently generating is removed and cannot not be reactivated until after the end of its next activation. So, an enemy model is jamming one of my models, what happens if I have another one of my models jam it? The jamming effect is cancelled, and your model may use either system during its next activation. I had already activated my model this turn and had been using option one with my APA system before I was jammed. If the jamming is removed does the use of option one return automatically? No, you will have to initiate it with a new special action on your next activation. 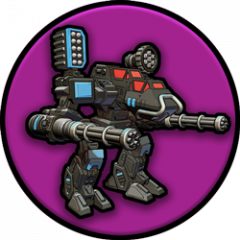 BONUS – HARM GMs: A model with an APA system may use upgrade points to equip HARM guided missiles. When used as part of a direct-fire combat action against an enemy model with an ACTIVE APA or ECM system (either option) during the current turn, HARM missiles do not require the use of an additional target-lock action to be used in the attack and adds the rating of the APA system to the combat roll as a (+) modifier. FAQ: Does using HARM GMs require a special action? No, it is considered part of the combat action. Does the automatic target-lock apply to other direct-fire weapon systems? Does a normal target-lock also add to the combat roll to the HARM attack? Does the automatic target-lock also add any ATC bonuses to the HARM attack? No. Does Ace/Veteran Pilot/Crew and WSO modifiers apply to the HARM combat roll? Yes. ECM ECM (Electronic Counter-Measures) is a specialized jamming array designed to radiate concentrated energy signals at an enemy’s radar and other targeting/detection systems across a wide range of frequencies. This type of jamming requires a lot of power, limiting the overall range of an ECM system. How is this different from the normal jamming used in option two of APA and ECM systems? A dedicated ECM system works across a wide spectrum of frequencies and is typically referred to as barrage jamming, providing interference that degrades the ability of the enemy to specifically target. Option two, also known as base jamming, goes directly after the source of an emission, attempting to block any data from being used. How does an ECM work in game terms? While typically built “into” a given design (CAVs, vehicles or aircraft only), an ECM is currently available on two configurations: ECM 1 and 2. Both systems perform the same function but differ in power and range. Examples include the Terran’s Talon Cloak System 26 and the Rach’s Kahn R-Series 21c ECM systems. An external ECM pod is available as an add-on to an existing model but is severely limited in its overall power and use as detailed below. A model with an ECM system will require the use of a Special Action when using either of the following options. Only ONE option may be used during the current activation: OPTION ONE - ECM: Its base function, the ECM will prevent the use of the target-lock action (or loss of an existing target-lock) of an enemy model located in the area of effect (ECM Pod: 18”, APA 1: 24”, or APA 2: 36”) measured from the center of the model that is actively using the ECM, moving with the model as it moves (if any). The rating level of an ECM system affects its overall range and its effectiveness when be used for option two. The ECM Pod does not have a rating level and cannot be used for option two or the use of HARM GMs. If an enemy model should move out of the current AoE of the activated ECM it will no longer be affected by the target-lock block. Subsequently, an enemy model that moves into this AoE will no longer be able target-lock an enemy model and will lose any current target-locks it may already have. The use of option one by a model will remain in effect from its current activation until the beginning of that model’s next activation in the following turn. FAQ: Does an ECM system block EST? No, but it does prevent the enemy model from acquiring or maintaining a target-lock, effectively removing EST from play. OPTION TWO – Jamming: See above. BONUS – HARM GMs: See above. Ritterlich Cataphract - Christmas Exchange! So I've completed my CAV:SO Christmas Exchange piece and thought I'd post it here. I'm using my "speed painting" technique thats cut down my paint time for desert jobs at the moment. I'm pretty pleased with how it turned out and pleased with my new photo set up. For more information on the CAV-CON events at this year's ReaperCon, including tournament rules, make sure to check out www.cav-con.com ! Greeting all! We are starting the roll-out of the updated & new content we have been promising. I have updated the links above and on the web page but I am including them here as well... First off. the new errata. The majority of it is clarifications and FAQs, but we have made a couple of rule adjustments as a result of feedback from players. CAV: SO Errata With that and the addition of new models from the last KS we have updated the CAV:SO Construction & Force Manager Program. We have added a new tab in the CP that shows a picture of the actual model to help people identify what something is. We will be updating the images later to get a more consistent look but this should work for now. CAV:SO Construction Program and Force Manager We have also updated the Master PDF of all the models so that you can have them in one place to view as a whole. Included are models that we are no longer using but have included a data card for those people who still want to use them. These have the (2) as part of their name. Data Cards We also have a new Faction Model List that is now current with all of the designs currently in the game. Faction Model List I am still getting the color data cards and the new Flashpoint ready so stay tuned as we get those out as well! Enjoy! CAV: Strike Operations at ReaperCon 2016! For this yearâ€™s ReaperCon Iâ€™ve decided to try something a little different than what we have done at in the past. Rather than schedule â€œhardâ€ events at specific times we will running a variety of events throughout the entirety of the convention so people can come and go as their schedule permits. We found this format worked really well at CAVCon and am excited to see how it goes at ReaperCon 2016! This yearâ€™s events will include: Featured Organized Play Event CAV: Strike Operations â€œThe Battle of New Vestaâ€ Malick Pass After the disastrous march across the Treark Plains, the 7th Dornheim Brigade â€œThe Iron Shieldâ€, pushes on in their attempt to capture the starport at Goltek City. The Adonese fire-base at Malick Pass continues to fire volley after volley of cruise missiles at the 7th and every attempt by Ritterlich fighter-bombers to take out the facility have been unsuccessful with heavy losses of aircraft. The 7thâ€™s commander, Brigadier Molden Franz has sent his 12th Regiment to climb the mountain and take the base from the Adonese defenders, elements of the Regiment 14 â€œIron Woodâ€ and mercenaries from Opheliaâ€™s Orphans. EVENT INFORMATION: Our featured scenario this year carries over story elements from our last Kickstarter, allowing players to participate in one of the opening â€œsalvosâ€ of the First Galactic War! Check in at CAVHQ to see scheduled start times. CAV: Strike Operations Open Gaming Players are encouraged to bring a Force Group of 5000 TVP of their favorite faction (per the Force Group Selection rules, p. 39 CAV: Strike Operations. Upgrades and Force Group Specializations are in use) to face off with other players throughout the show. Various gaming boards will be available for play to allow players a chance to show which faction rules supreme! CAV: Strike Operations Basic Training Join us as we drop new recruits into the â€œfireâ€ as they learn to pilot a CAV for the first time outside the simulators. Drill instructors will be available throughout the show to teach pilots the basic skills required for playing CAV: Strike Operations. EVENT INFORMATION: No experience required. This event is designed to teach new players the basics in CAV: Strike Operations and typically will be completed in 30 minutes or less. All materials provided. Certificates for completing training. CAV: Strike Operations Paint & Take A great opportunity for miniature painters, new and experienced. Talon Games & Reaper Miniatures has provided a collection of prepared CAV miniatures, paints, and brushes for this event throughout ReaperCon 2016. Attendees are welcome to come in and paint the provided miniatures with the provided supplies. After painting, you get to take the miniature you painted! CAV: Strike Operations Open Painting Looking for a place to work on your figures during the show? 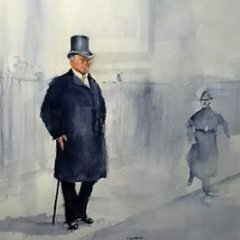 Want to exchange ideas and maybe learn a new technique or two? Then this event is for you! Throughout the show tables will be provided for attendees to sit down and paint! Reaper Master Series paints will be available for you to use as well! CAV: Strike Operations Painting 101 Sit down and learn from the pros! Professional painters will be available to show you their best tips & tricks for painting CAV figures. CAV: Strike Operations Terrain 101 Learn to build many of the common terrain features found in a typical CAV game! CAV: Strike Operations Modeling 101 Throughout the show CAV lead modeler Chris "Thudgun" Lewis will be available to show off new models currently under design and answer any questions you may have! The Future of CAV:SO Sit down with lead game designer Jon "CAVBoss" Walker and find out what we have in store for the future of CAV:SO. CAV: Strike Operations at ReaperCon 2016! Could someone answer the following: 1) Can an aircraft declare itself flying NoE without having to first spend an activation point on movement? Basically, can you target lock and fire guided missiles while still gaining the protection from NoE? 2) Can TAG be used while flying NoE to paint a target for a unit outside of the aircraft's squad (assume the aircraft is behind blocking cover like an E3 hill)? TAG requires line of sight, but I'm not sure how that interacts with Pop-up once the aircraft's activation is complete. 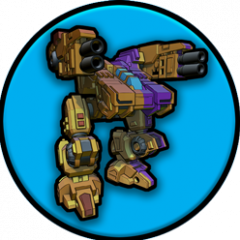 I'm wondering if a Dragonfly can TAG a unit while moving NoE, which would allow a Mantis to later activate and shoot guided missiles at the TAG-ed target without spending an action on a target lock. I would assume it works fine when there is no blocking cover. Thanks! Every time my infantry use grenades I want to cue some Benny Hill music. Grenades are indirect fire, and chances are I don't have line of sight otherwise I'd be using direct fire with whatever better weapon I have. So usually in the longer range bands (Grenades have 1" range so 4" maximum), no line of sight. Other common strike-point modifiers don't really apply to infantry; no targeting computer, no wizzo, no chain-fire, etc. So I'm usually looking at a 11 or 12 to hit, which of course is going to miss. No biggie, "close does count with hand grenades" right? Well, drift is 1d10 in a random direction, plus range mods. At extreme range it can drift up to three times as far as my maximum throw range. So that grenade will go twice as far behind me as I can possibly throw in front of me. Or over my target, over the skyscraper behind him, and into the youth center two blocks away. That power armor can throw hellova far! So yeah, is there anything I'm missing here or is this working as intended? Is SA:FCS & SA:Chain-Fire Pod as powerful as I think they are? I was setting up a small set of Terran and Rach forces to paint for a CAV:SO demo when a friend visits in a few weeks. I picked a Raijin and Regent as part of the Terran squad and brushed up on the SA:FCS rules. If I'm reading it right, the strike point roll gets a +1 for each model that's linked in the squad for *any* strike point roll. That reads to me like each unit could choose a different strike point, yet receive the bonus. So for my small specialist squad, the Raijin and Regent could target different strike points, but still get a +1 to the strike point roll. Is that correct? 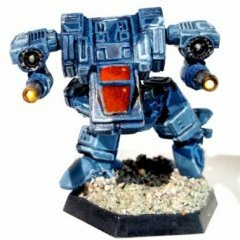 If you add that to the SA:Chain-Fire Pod in a large fire support squad, you could get as high as a +5 bonus to all strike point rolls, which could be shared among the rest of the squad (assuming a target lock before the strike point roll). None of this requires LOS, so throwing in the Raijin's targeting computer and Wizzo, it could have a +7 bonus to a blind strike point roll, that could then be used as the strike point for every other unit in the squad (still needs target rolls for AOE)? That just sounds nasty. July 29th-31st, 2016 CAVCON 2016 Reaper World HQ, Denton TX Our official website for the show is www.cav-con.com and is up with all the information on the show and events. Including the new CAV Kickstarter II beginning July 10th, 2016! Make sure and check it out. Please note that there is no registration for this show. The show and any events at it are free to attend and we hope to see you there! Another pair of tanks for my Terran army. The second set of UTF minis I did this month were the Ryoshi. Boy are these guys low and wide...nice and quick to paint though, with some interesting detail you can work with.